One more Friday, one more time this signature back on the blog! That’s right everybody, we know you love the New Trends signature, so we bring you non-stop to you. This time we are presenting you a lighting family you may have heard about. Does Hanna Family ring a bell? Well, if not, just keep reading this article! This will help you decide the perfect lighting design for your home! Hanna is a vintage lighting fixture that is elegantly by five arms and five lampshades made of brass. Each lampshade can be adjusted to direct lighting over a wide-reaching area. With gold plated and a matte white finish ( inside and outside), each light has a bell-shaped shade fashioned from aluminum. Liven up your home setting with this classic pendant light, that will suit superbly in a mid-century modern living room or dining room. All in all, Hanna suspension lamp has flowing lines and a sleek surface that mixed unusual-shaped arms create a unique vintage lighting design. Hanna modern chandelier is a breathtaking lighting design that is made in brass and aluminum with gold plated and white matte shades. Pair it with modern or contemporary decor as a chic accent piece. This white suspension chandelier is the perfect lighting option to compliment vintage and industrial decors. The gold plated finishes will add the final touches to any home decor. With 25 hanging lights suspended on black cord cables, we recommend you E27 Bulbs. Inspired by the mid-century modern era, it can be used with the dimmer to achieve your desired effect. 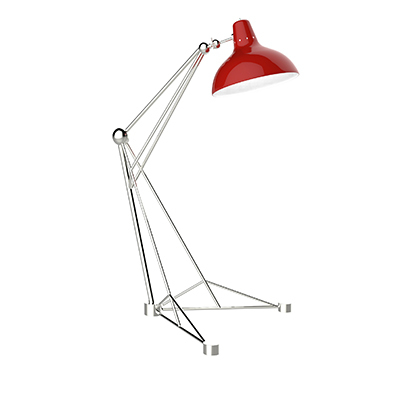 Hanna is a vintage floor lamp that will suit perfectly in your mid-century modern living room or vintage retro design hallway. 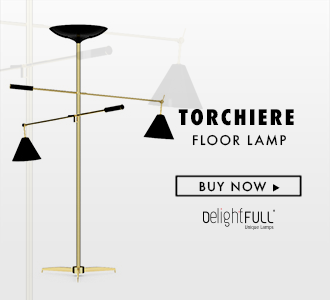 With a structure made of polished marble estremoz and with multiple lampshades made of brass and aluminum, this floor light is a pure mid-century modern lamp full of grace and charm. Its flexible lamp shades allow you to spread the light anywhere you want it to be. Bathed in gold plated and matte white finishes, Hanna showcases high-quality craftsmanship, since it was applied an ancient technique called hand metal spinning. On the whole, this brass floor lamp reports to a classical ambiance, back to art deco, evoking a powerful mid-century modern design. Hanna is a contemporary wall lamp that will bring a smooth ambiance your mid-century modern interior. With a structure made in brass, this wall sconce is gently covered by a gold plated bath, while its aluminum lamp shade is outlined by a gold plated and matte white finish. The on/off switch is located below the lampshade with a stylish design for quick and easy use. This white wall lamp can be customized and instead of having one lampshade, you can choose to have two, in order to provide a more balanced look. With a minimalist style, Hanna wall light fixture is a luxurious addition to any space. Ideal as a bathroom mirror light or as an entrance wall lighting, Hanna is a stylish lighting creation that will adorn your wall with equilibrium and dynamism.